According to Michaele Sommerville her blog Kindergarten's 3 R's Respect, Resources and Rants is a blog full of "all things kindergarten". 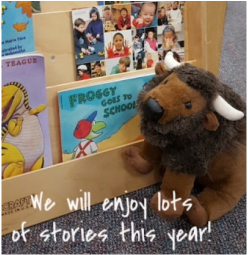 Michaele has been teaching kindergarten for 21 years and has filled her blog with so many helpful resources for teachers. She talks about topics ranging from relationships, to decorations, to lesson plans and much, much more. I really enjoyed reading about how Michaele helps to calm students nerves about the first day of school. She sends out "sneak peeks" of her classroom to all her students to help them feel more comfortable. In order to narrate the pictures she includes a stuffed animal version of their schools mascot to help explain everything to the students. I thought this was one of the cutest ideas! Michaele also post really helpful resources she has created. A post I saw was about a "ELA alaphabet MEGA PACK of journal activities". She created this packet which is full of helpful tools to use when teaching ELA, she also explained how to use the packet and what developmental level they are appropriate for. This packet can be purchased for only 12 dollars at her Teachers Pay Teachers store. She has also created a lot of other resources for teachers that are posted on her Teachers Pay Teachers site. One other thing that really stood out to me about Michaele's blog was that she's has a classroom photo tour. I really like this idea as well! By each picture there is a caption which explains the picture and why she chose to have her classroom like that which is really informative. Kindergarten's 3 R's Respect, Resources and Rants is a wonderful blog, that I am glad I discovered! I highly recommend checking it out all of the resources and fun stories will make you glad you did!